Inked and stamped gift tag. 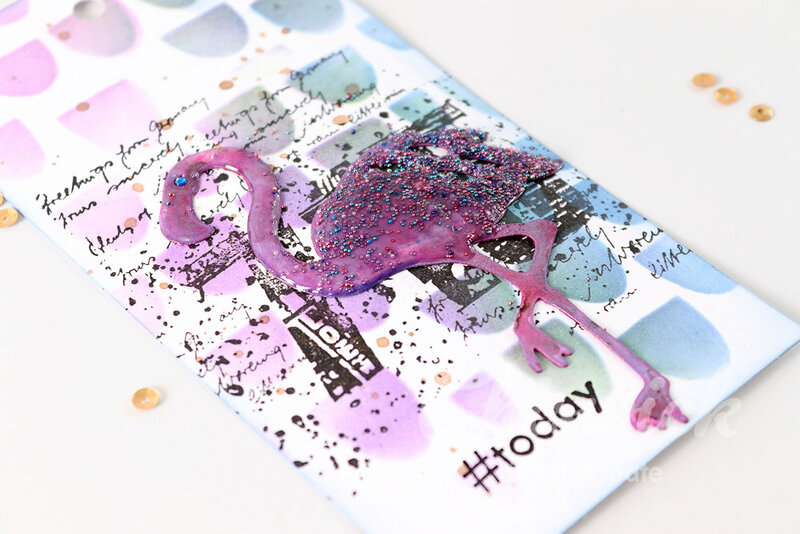 Today on the blog I am creating this quick gift tag using stenciling and stamping. 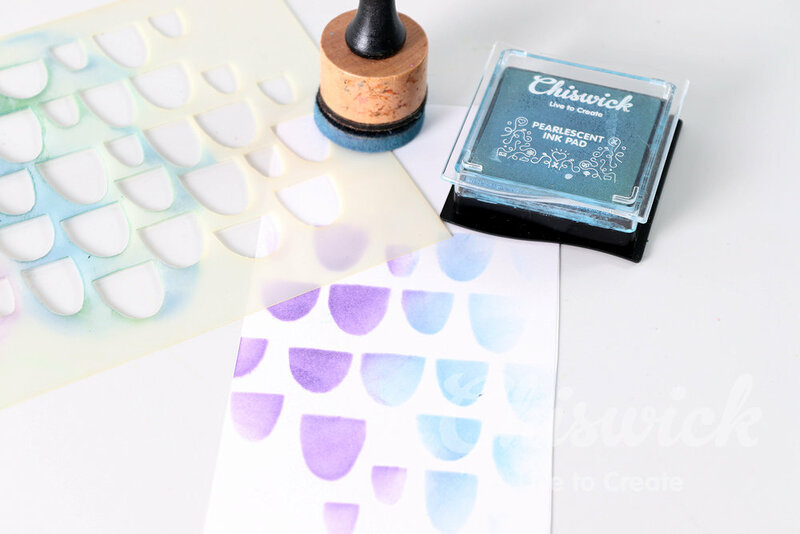 The base is stenciled using the Chiswick range of dye inks and stamped detail in black. 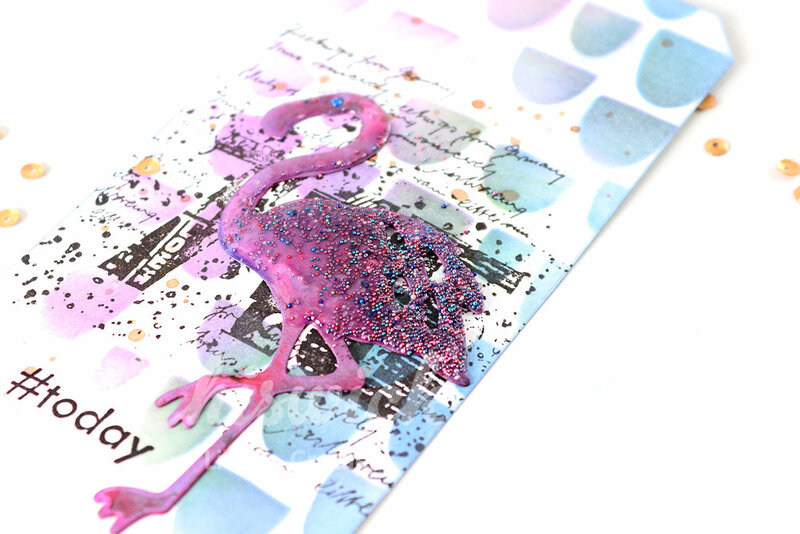 A fun flamingo inked in purple is used as an accent on the tag – perfect for a young and vibrant individual. 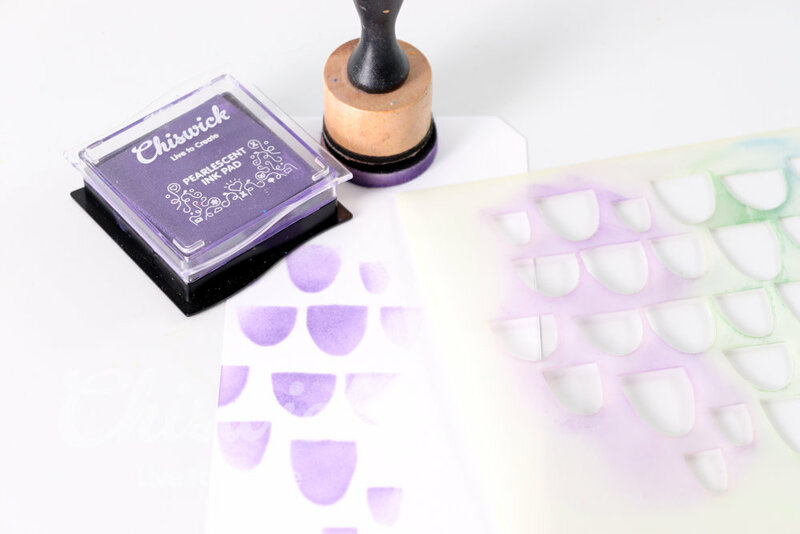 step 1 – Use Pearlsecent purple ink and stencil the first layer through the stencil design. step 2 – Stencil Pearlescent blue next to the purple ink. 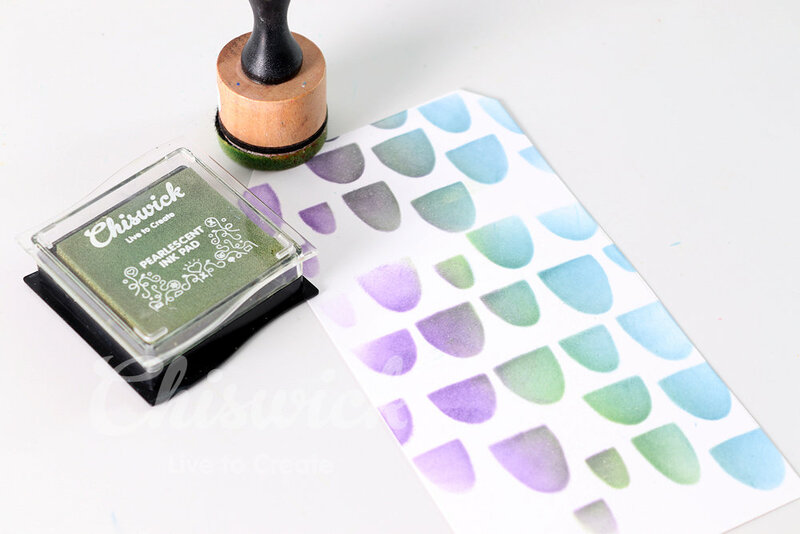 step 3 – Use Pearlescent green and stencil over the center where the two colours meet each other. Overlap onto the colours to create a smooth colour transition. 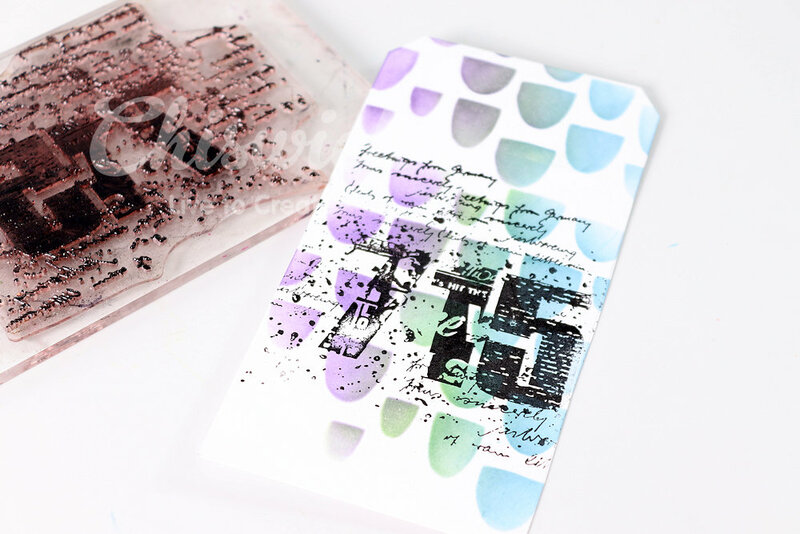 step 4 – Stamp the image from your stamp set over the center of the tag in black ink. 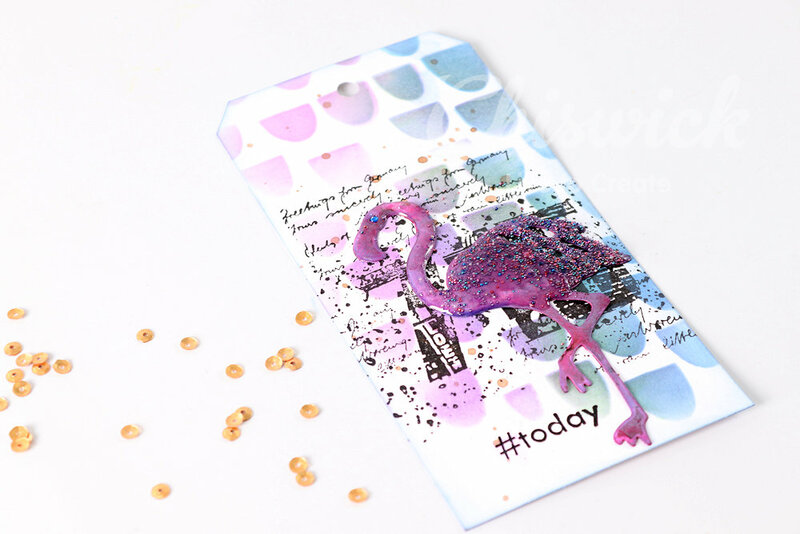 Decorate the tag using a coloured flamingo die-cut decorated with small micro beads and an additional stamped sentiment. 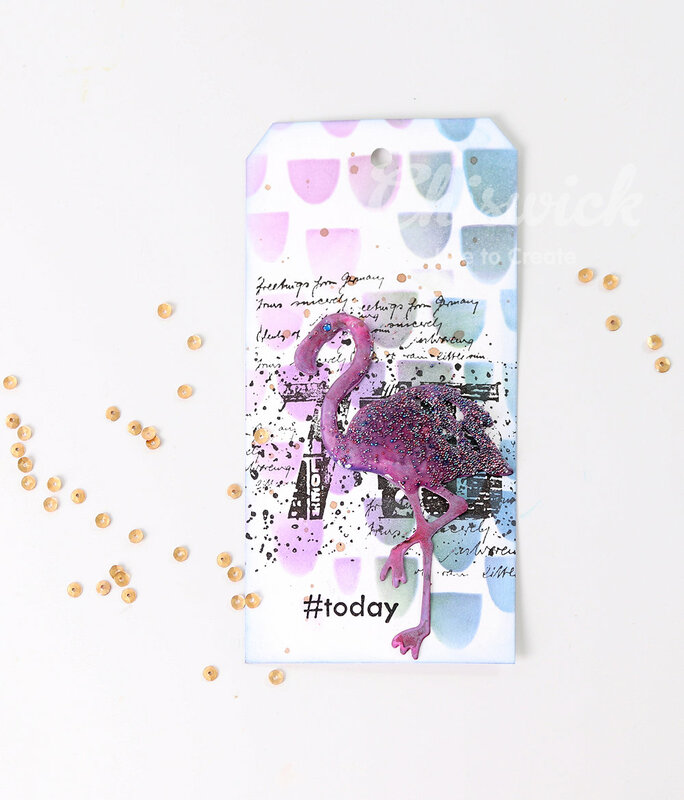 Punch a small hole and tie the tag onto a present as a quick alternative to a card. Creating can be a wonderful journey and therapy making sense of things where life cannot, and I have tuned my life into this philosophy. Make your own Gift wrapping paper for Christmas. Ombre Curtains using POP Paint. How to paint a plastic pot for a Festive Topiary. The ugly truth of life before POP Paint – Painted Furniture.